Is there such a thing as a 'healthy drunk'? Can liquor be good for you? The little acai berry has garnered its fair share of press lately for its potentially powerful level of antioxidant activity; this little superfood is said to be better for you than a blueberry. Products from juice to face cream to shampoos are now touting the benefits from adding acai in the ingredient list. So an acai liquor should not come as any surprise; it was the obvious next choice after acai berry toothpaste. It's a clear liqueur similar to a sweet-flavored vodka, it mixes well with simple syrups and fruits. Martini's are a given, cocktail concoctions are endless and I might even use this in place of gin in my classic sangria recipe. Tips and techniques: Make the simple syrup ahead of time so it has time to cool. 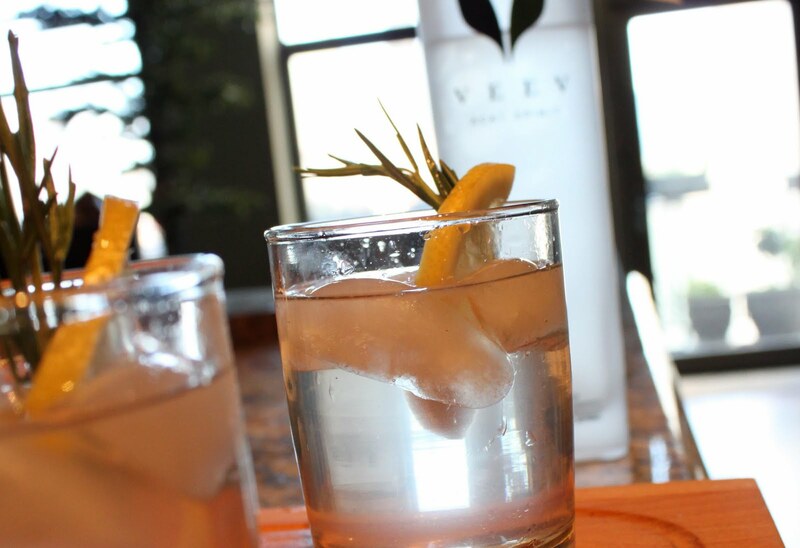 Choose an 8 oz cocktail glass and add a few ice cubes. Add a scant 1/2 cup of simple syrup, one shot of acai liqueur and a squeeze of lemon per glass. Top the glass off with fresh club soda, use a rosemary stem to give it a quick stir. Garnish with the fresh rosemary and a sliver of lemon. 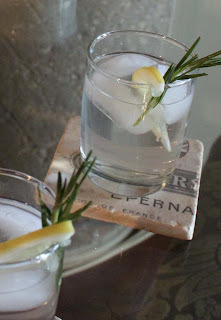 Add the fresh rosemary sprigs the sugar water and cool to room temperature. Set in the refrigerator (or freezer) to chill. Once chilled, remove the rosemary and follow the acai cocktail recipe above; makes enough simple syrup for 4 cocktails.